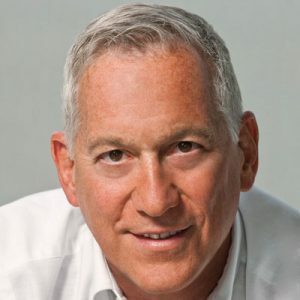 Walter Isaacson is president and CEO of the Aspen Institute, a nonpartisan educational and policy studies institute based in Washington, D.C. He has been chairman and CEO of CNN and editor of TIME magazine. Isaacson’s most recent book, The Innovators: How a Group of Hackers, Geniuses, and Geeks Created the Digital Revolution (2014), is a biographical tale of the people who invented the computer, internet and the other great innovations of the digital age. He is the author of Steve Jobs (2011), Einstein: His Life and Universe (2007), Benjamin Franklin: An American Life (2003) and Kissinger: A Biography (1992), and co-author of The Wise Men: Six Friends and the World They Made (1986). Born in New Orleans, Isaacson is a graduate of Harvard College and Pembroke College of Oxford University, where he was a Rhodes Scholar. He began his career at The Sunday Times of London and then the New Orleans Times-Picayune. He joined TIME in 1978 and served as a political correspondent, national editor and digital media editor before becoming the magazine’s 14th editor in 1996. He became chairman and CEO of CNN in 2001, and then president and CEO of the Aspen Institute in 2003. He is chair emeritus of Teach for America. In 2005-07, he was vice-chair of the Louisiana Recovery Authority, which oversaw the rebuilding after Hurricane Katrina. He was appointed by President Barack Obama and confirmed by the Senate to serve as chairman of the Broadcasting Board of Governors, which runs Voice of America, Radio Free Europe and other international broadcasts of the U.S., a position he held from 2009 to 2012. He is on the boards of United Airlines, Tulane University, the New Orleans Tricentennial Commission, Bloomberg Philanthropies, the Society of American Historians, the Carnegie Institution for Science and My Brother’s Keeper Alliance.